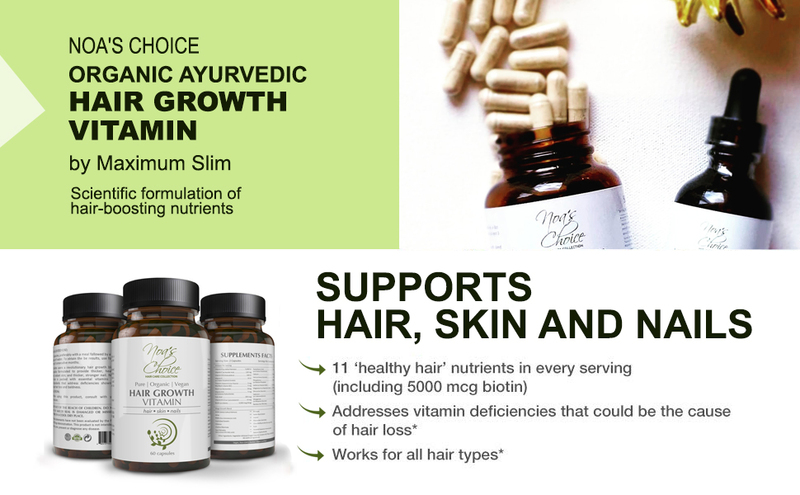 The Noa's Choice Organic Ayurvedic Hairgrowth Oil and Hair Growth Vitamins best gifts you can give your hair. 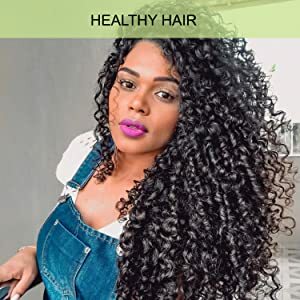 Everything you need to get started on your healthy hair journey. 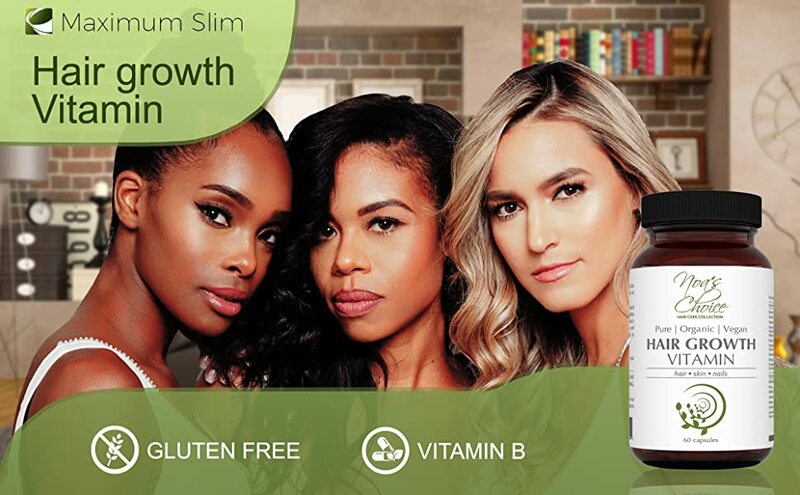 Noa's Choice Hair Growth Vitamins and Organic Ayurvedic Hair Growth Oil deliver REAL results for women and men Worldwide who struggle with damaged hair, dry hair, hair loss, dry scalp. 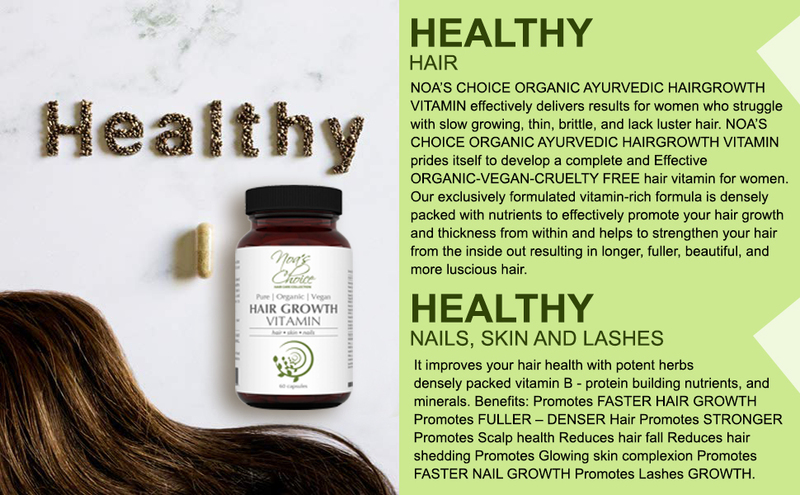 Noa's Choice Organic Hair Growth Vitamins are easy to take, all-natural ORGANIC vegetable capsules. When combined with our Noa's Choice Organic Ayurvedic Hair Growth Oil, you will instantly experience your hair become healthier, stronger and longer. Noa's Choice Combo will feed your hair inside and out that will result in a radiant head of hair! Noa's Choice Organic Hair products are ORGANIC - VEGAN - CRUELTY FREE and GLUTEN FREE using only the most potent and pure ingredients. WHAT’S IN YOUR NOA'S CHOICE ORGANIC AYURVEDIC HAIR CARE COMBO? When combined with our Noa's Choice Organic Ayurvedic Hair Growth Elixer you will feel and see your hair quality improve day by day. This combo is the perfect solution for making your hair longer - stronger thicker and healthier from the inside out . Wow! I have never had so much hair. I have been using Noa's Choice for 4 months now. I had a large, almost bald spot on the back of my head. But now it's more, a lot of new growth of hair has made the bald spot vanished and my hair is longer and thicker than it has been in years. Thank you Noa's Choice for giving me back what I lost my "HAIR". I used to wear a lot of braids. Due to that my edges became very thin. I bought the combo, after a few weeks in, my edges started to look and feel thicker. My hair is generally now so much easier to detangle and I also have far less hair shedding since taking the Noa's Choice Hair vitamins and using the Organic Hair Growth Oil. I will definitely purchase Noa's Choice Hair vitamins and hair oil again it works! My daughter and I have been using the Noa's Choice Hair vitamins and the Ayurvedic Hair Growth Oil almost 3 months. The 1 st month we both had almost 1-inch of new growth. We are almost done with 3rd month and can’t wait to measure our results. Amazed with the results so far! I take one pill every morning and use the Noa's Choice Ayurvedic Hair growth oil on my hair after I shower. I am amazed with the results. I have fine hair that isn't exactly thinning but it never felt very full. I bleach my hair and struggle with damage. Within days of starting Noa's Choice Hair Vitamin and Ayurvedic Oil, I noticed hair growing around my forehead, new growth!! My hair seems more full. I feel like it's even growing more now. I am so happy that I found this. Trust the reviews. I recently got a haircut that was much too short for me. 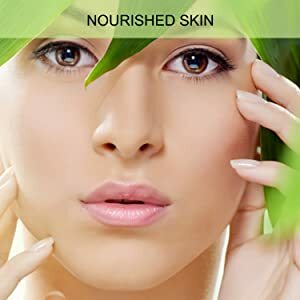 I have been using this product for about 6 weeks. Only applied the oil 18 times. Couple with the Noa's Choice Organic Hair Growth capsules, my hair is visibly growing faster. My hair was up to my ears and it's starting to touch my neck now. My hair is softer and healthier and feels stronger.